New rules from the U.S. Department of Labor’s Office of Federal Contract Compliance Programs (OFCCP), relating to Section 503 of the Rehabilitation Act of 1973, went into effect in March 2014. Among other changes, these new regulations require federal contractors to set a goal of having 7% of their workforce comprised of individuals with disabilities. The goal is aimed at giving contractors a benchmark against which they can measure the success of their efforts in outreach to—and recruitment of—individuals with disabilities and the change in the representation of such individuals in their workforce. For contractors with more than 100 employees, the goal applies to each job group. For contractors with 100 or fewer employees, the goal applies to their entire workforce. 503 compliance is a topic that is on every federal contractor’s mind. We’ll explain the implications in a simple and practical way. Note: This article is designed to familiarize you with the general requirements of Section 503 and is not intended to take the place of legal advice. Total number of applicants hired and how many with disabilities were hired. Additional information on the requirements may be found on the OFCCP website. Perhaps most notably, the new regulations introduced a 7% utilization goal for employing individual with disabilities. Contractors currently will not be sanctioned for not meeting the goal, but can be sanctioned for not demonstrating a ‘good faith effort’ to achieve it. Although many contractors have taken steps to hire more people with disabilities in light of the rule changes, there is additional work to be done. In fact, most employers in the United States are not at 7%. Recognize the Business Benefits of Hiring People with Disabilities. Before the new regulations went into effect, contractors already had an obligation to proactively engage in outreach efforts to hire people with disabilities, but most companies have still not committed to this. We suggest that the best remedy for this is to build relationships with organizations that either provide services to people with disabilities or help employers looking to hire them. Disability organizations understand the needs and talents of individuals with disabilities and accommodations to help them succeed in the workplace. Are there senior officials in your organization who are willing to disclose their own disability? Are your job postings in an accessible format for people with a vision impairment? Have you considered alternatives to behavioral interviews, which tend not to be ideal for people with autism or other cognitive disabilities? Are there pictures of people with disabilities on your website? Being able to answer “yes” to those questions—and other questions like them—will help make your organization more attractive to people with disabilities. Job candidates and existing employees alike watch for these efforts, so be intentional in the steps you take. Studies have shown that the most important consideration for candidates with disabilities in contemplating a position, ahead of wages and job security, is the perceived disability friendliness of the employer. Our Disability Employment Tracker™ is a free, confidential, web-based tool that helps contractors assess their approach to attracting, hiring, and retaining individuals with disabilities. Filling out the survey takes less than two hours. 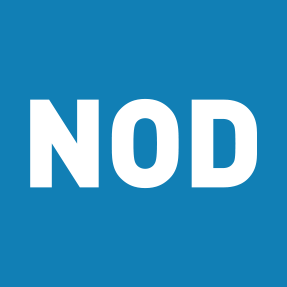 Membership in the NOD Corporate Leadership Council gives contractors a wealth of information and resources. Other resources include, the U.S. Department of Labor’s Office of Disability Employment and Job Accommodation Network, Easter Seals, Goodwill Industries, National Industry Liaison Group, and DirectEmployers Association.